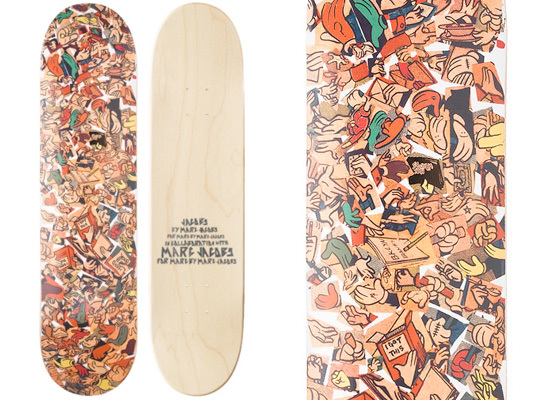 One of our favorite fashion designers, Marc Jacobs has come out with a new creative skateboard deck called “Hands,” showcasing a collage of colorful hands. “Hands” is available now at Marc By Marc Jacobs flagship stores and retails for $89. Marc Jacobs isn’t new to designing skateboard decks, last year he released his collection of Marc By Marc Jacobs Skate Decks.